It is never too early to empower our daughters. Instead of throwing my own tantrum, which honestly is how I wanted to respond, I looked at my toddler straight in the eye and asked her if she knew how lucky she was to even have the choice to go to school. 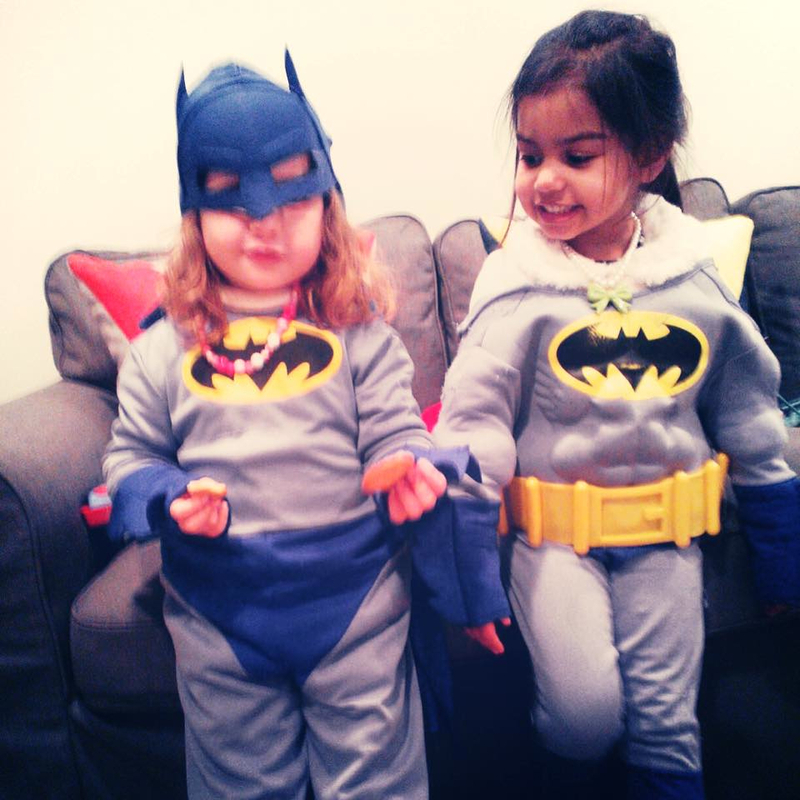 Let your daughter feel like a superhero with limitless options in her life. I explained to my child that even though it is 2015, globally in countries like Bangladesh, where mommy is from, millions of girls are still denied the right to an education simply because they are girls. “No mommy, I can’t,” she answered in her tiny, sincere voice. 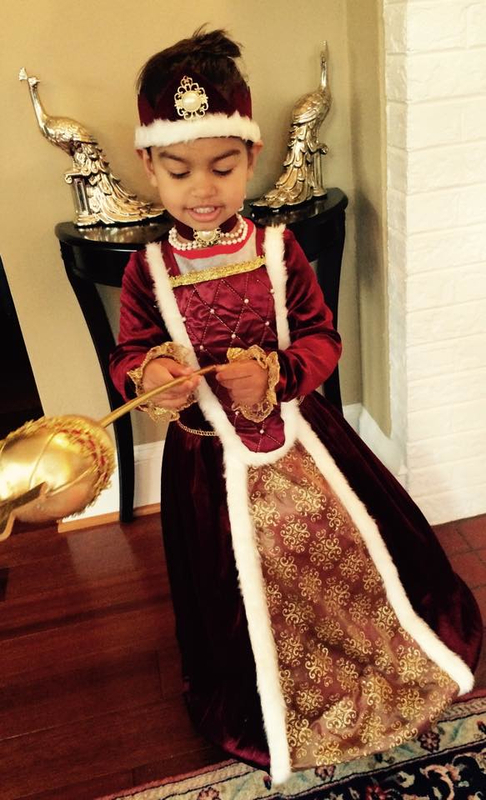 Forget princesses, I prefer to tell my daughter she is a Queen. Although my baby is just under the age of four, and many parents would consider this an intense morning conversation to have with a toddler, the truth is as parents, every moment is an opportunity to teach. I think these opportunities are more intense for mothers, especially if you are a feminist mom. As a feminist mother myself, this point really hits home with me- literally. Growing up in the 1980’s in Bangladesh, my own parents never wasted a second to point out the gender discrimination that surrounded us, embedded in countless ways in our culture. Despite being raised by a fearless woman, who was always involved in the women’s rights movement in Bangladesh, my own mother could not shield her daughters from the fact that our country valued us less than boys; that women in Bangladesh were worth less than men. That morning, I decided to turn my American daughter’s tantrum into a lesson on how gender inequality is still a reality, in Bangladesh and the US. The truth is for young girls gender inequality is already present, especially in the toys that are targeted to them. My husband and I both feel strongly about having Ava involved in sports because of the training it will provide her to thrive in a competitive professional world. However, just by being in her preschool, she has become princess obsessed, and some days it appears as though pink has taken over our existence. It seriously is all over my house. Although I cannot banish pink princess glitter junk from her life, I do take the opportunity to tell her to be a princess who has her own money, has a career, and is not waiting around to be saved by a man. I want her to know the most important thing about her is not her looks. I write about the long-term harmful effects of princess culture on our daughters, and as a feminist I cannot just watch as what my child plays with subconsciously encourages her to dream of being rescued by a man. I want my daughter to know that life is about being able to 100% rely on yourself. At the end of the day however, all parents know that children do not do what you tell them; they do as you do. 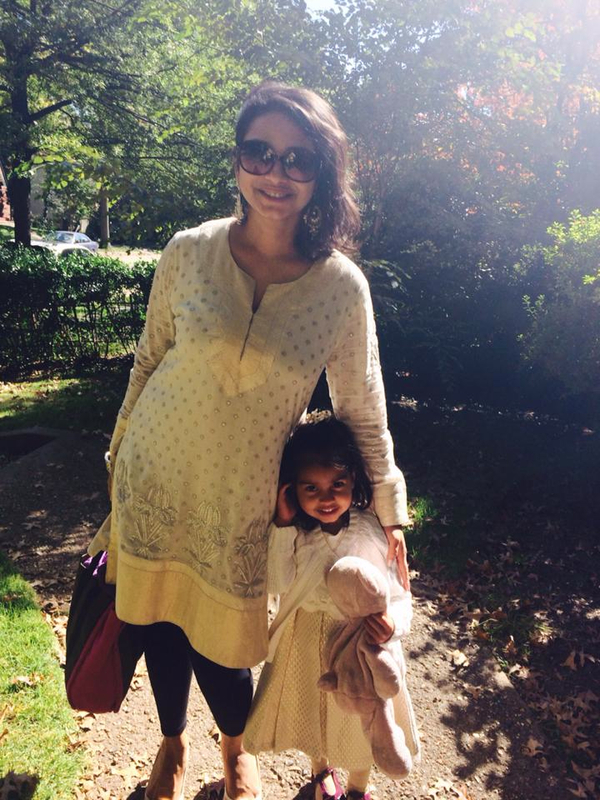 So what is the best way to raise the next generation of South Asian feminist women? Lead by example and model feminism in your own life, so she knows nothing in life is off-limits to her because she is a girl. 1) Encourage your daughter in physical sport. I think as South Asian moms, we are used to shying our girls way from physical activities in general; I know I was. But many child development experts applaud girls getting involved in athletics for confidence & for cultivating a competitive drive. 2) Point out sexism when you see it. It does not have to be a dramatic lecture, but while watching Disney classics it is okay to point out how little agency the female characters are given over their lives. 3) Give your sons and daughters equal freedom of movement. Although I grew up with all sisters, I cannot tell you how many family friends back home let their sons out more than their daughters. This is a classic Desi parenting move that lets daughters know early on they do not have power over their decisions the way men do. 4) Skip the marriage talk. Seriously moms, it’s 2015. Let’s stop telling our kids, boys or girls, that the primary goal in their life is to get married. 5) Encourage education. The best thing about living in North America is the access to education. Push your children to embrace this opportunity, tell your daughters to get as much education as they can because it’s your best bet for financial security. As women, we all know that spells the ultimate independence for us. What are your views on raising a feminist? How do you encourage equality at home? Share your thoughts with us below! *This post of mine was also published on MasalaMommas & The Huffington Post.